A man has been cleared of the murder of a teenager who vanished from her home in Blackpool. 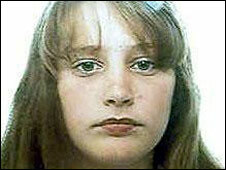 Charlene Downes, 14, has not been seen since 1 November 2003 when she said she was going to a bar with friends. The decision to formally clear the man, who cannot be named, was taken on the judge's directions after legal argument at Preston Crown Court. 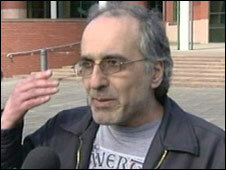 Another man Mohammed Raveshi, 50, who was accused of helping to dispose of her body, was also formally cleared. It was the second trial the men faced after a previous jury failed to reach a verdict in May 2007. Mr Justice Roderick Evans issued the directions after submissions from defence barristers on Wednesday. This doesn't mean the investigation that launched when Charlene disappeared is at an end. Karen Downes, Charlene's mother, said she was "absolutely devastated" by the decision. "I've always lived in a hope and I'm still living in hope that one day justice will be done for Charlene," she said. "It's hell not knowing where she is but I've always lived in hope that someday somebody would tell us where Charlene is and I still believe someone out there knows where she is and knows more than they are letting on as well." Mr Raveshi, who was charged with assisting an offender, spoke of his anger after spending two-and-a-half years in jail on remand in Preston. "It is obviously shameful - absolutely shameful. The lies that have been told about the whole thing," he said. "We went for a trial once and I made it very clear this whole thing has been like an imaginary case in the head - it had no basis. It has been proved today." The hunt for Charlene was one of Lancashire Constabulary's longest-running inquiries involving a child missing from home before detectives switched the focus to a murder hunt. Speaking after the hearing, Det Supt Kevin Toole said the inquiry would remain open. "We have worked tirelessly in our pursuit for justice for Charlene and her family. "We must now accept that we don't have sufficient evidence to secure convictions in this case. "This doesn't mean the investigation that launched when Charlene disappeared is at an end. The inquiry will remain open." More than 3,000 people were spoken to by police officers and almost 2,500 statements were taken. Despite the long-running inquiry and the police belief that she has been murdered, no trace of Charlene has ever been found. Police accused of "incompetence, manipulation and lies"